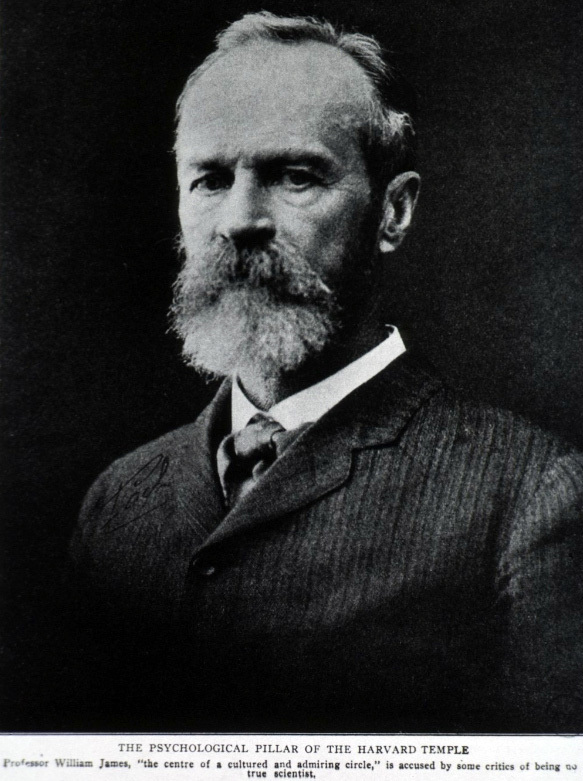 Formative debates within anthropology and religious studies can be seen as an attempt to isolate the practice of prayer from its material conduits. Participants in these debates have often described the history of prayer as a progressive movement of abstraction from the mechanical efficacy of the thing itself toward an increasingly intellectual endeavor beholden to the contingent demands of “faith.” In this debut portal into our unfolding compendium of resources related to the study of prayer, curator and lead contributor Anderson Blanton resists the narrative of prayer as a history of abstraction. His collection of objects seeks to recuperate the old etymological resonances of prayer as a “bead,” as a gloss for both materiality and mechanized rhythms or repetitions. Contributors to this continually expanding portal include Robert Orsi, James S. Bielo, Hillary Kaell, Don Seeman, Damla Tonuk, and Travis Cooper. 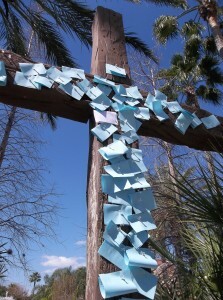 In Orlando, Florida people pin prayers to a cross. The cross stands on the grounds of the Holy Land Experience (HLE), a 15 acre “living, biblical museum” that teaches Christian themes in a themed environment 11 miles northeast of the Walt Disney World Resort. HLE is a site on the American evangelical landscape where materiality flourishes: religious history and textual ideologies are re-presented in a way that fuses Protestant commitments with the logics of immersive entertainment. Dolls and phonographs share an intimacy with prayer. 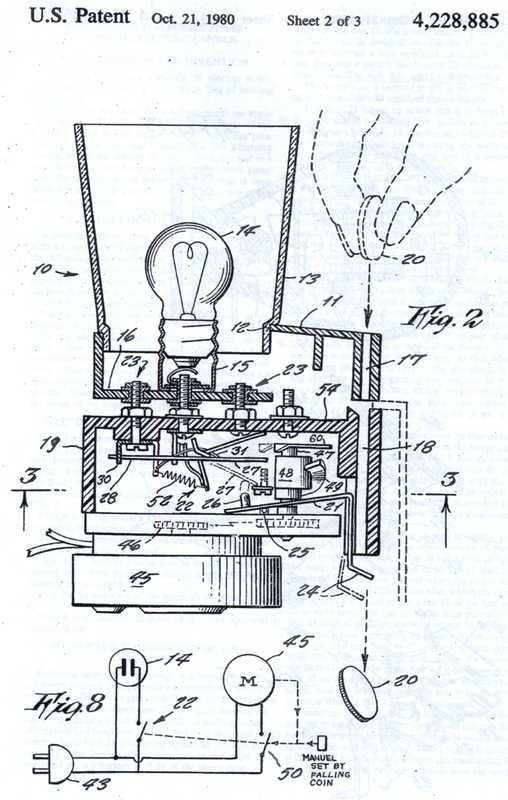 One of the first commercially available cylinders from the Edison phonograph company, for example, was a component in the “Edison Talking Doll” (1888). Hidden within the sawdust-filled recesses of this “Dollphone,” one of the interchangeable cylinders played upon the automatic phonograph was the ubiquitous bedtime prayer, “Now I lay me down to sleep.” While Edison was busy manufacturing toy prayers, Emil Berliner, the pioneer of the flat “Gramophone” disc, was inscribing the first copies of “The Lord’s Prayer” in an old German doll factory (1889). 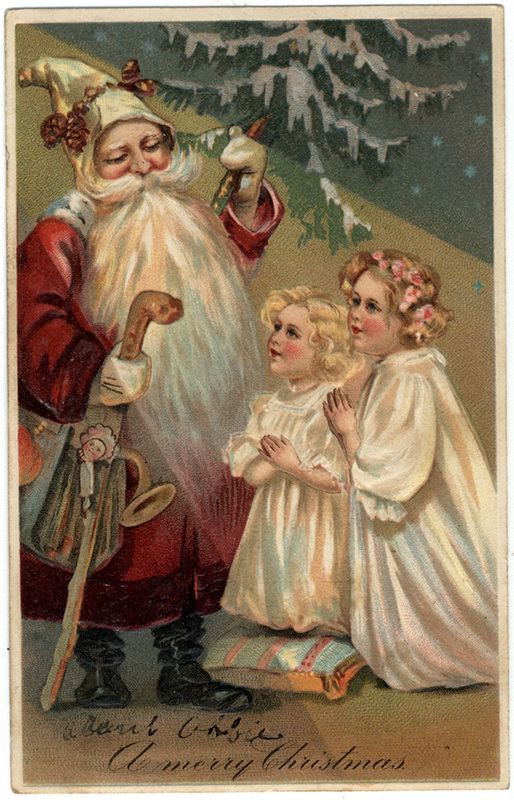 Since the early days of phonography, praying dolls have been produced on a mass scale as a playful means to imprint pious attitudes upon the developing child. Global televangelists, with their empires of technologically progressive media, are on the forefront of changes to evangelical prayer techniques and their implementations. People often seek out healing from big names in the international revivalist circuit, healers whom they believe they have witnessed (likely from television) serving as efficacious conduits of the Holy Spirit. Itinerant healer Benedictus Toufik Hinn—known around the globe as Pastor Benny Hinn—is a vanguard figure within these developments. Playful phenomena often reveal hidden or unacknowledged elements in the practice of prayer. 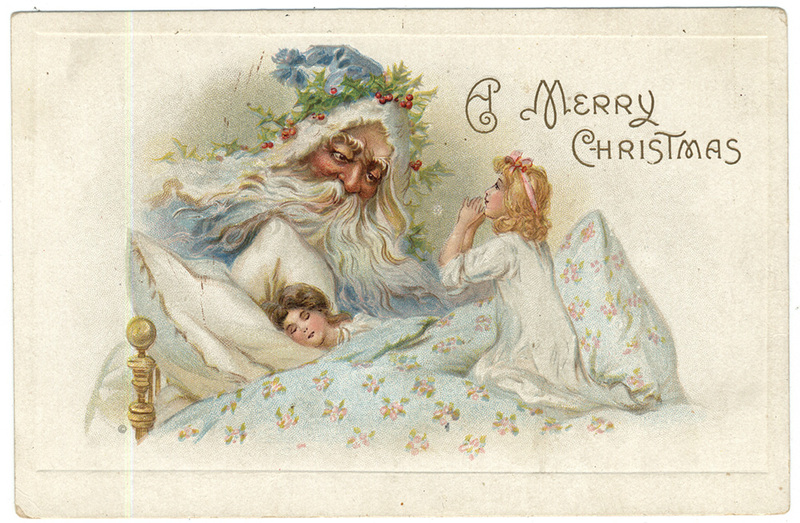 Postcard images of praying children were widely circulated throughout the early twentieth century, and these representations of childhood piety helped to solidify particular understandings of prayer within the popular imaginary. These illustrations, moreover, provide a colorful testament to the “apparatus of belief,” or the ways in which the performative and experiential dimensions of prayer are inextricably related to physical objects that open communicative relays between the everyday and the sacred. Is thought a form of materiality? The question is not an innocent one. I once overheard two neuroscientists at a faculty mixer joking about some of their colleagues in the humanities who still did not yet seem to realize—they were incredulous, in a self-congratulatory, slightly tipsy sort of way— that “mind” is really just another word for “brain.” But what precisely is at stake in this polemic? I want to argue that there is no empirical question here but really a taxonomic one, and that reflection upon prayer—in my case, classical Jewish models of prayer—may help to reframe our mostly implicit taxonomies of matter and spirit in helpful and intellectually freeing ways. Is mind really just another word for brain? I think it depends on what you are asking. One of the most important biblical references in the history of charismatic faith healing, the story of the woman with an “issue of blood” (Mark 5: 25-34) is often recounted to help explain the communication of curative efficacy from patient to healer. In this classic account of contagion, a woman with a seemingly incurable discharge of blood boldly makes her way through the dense throng following Jesus, reaching out her expectant hand to touch the healer. Immediately upon contact with the “hem of his garment,” a healing virtue, or power, is communicated into the woman’s body. 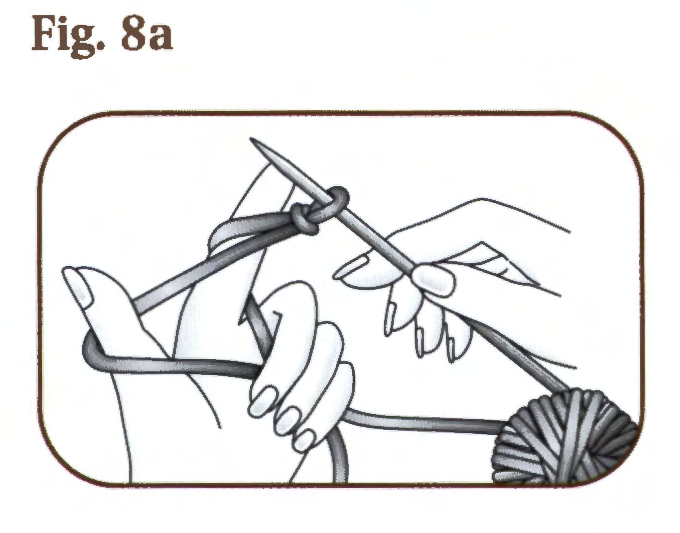 Both patient and healer simultaneously register this tactile contact: as the woman experiences a newfound sensation of somatic well-being, Jesus feels power leaving his body (see the first illustration from Oral Roberts famous treatise, If You Need Healing Do These Things ). 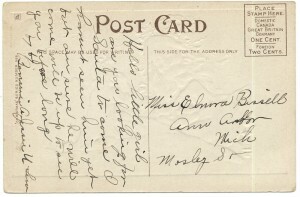 Given the significant place that this account holds in the theology and technique of charismatic faith healing, I would like to briefly explore this question: If the woman with an “issue” were to seek healing in the late-modern context, how would she negotiate her way through the crowd to make contact with the healer? 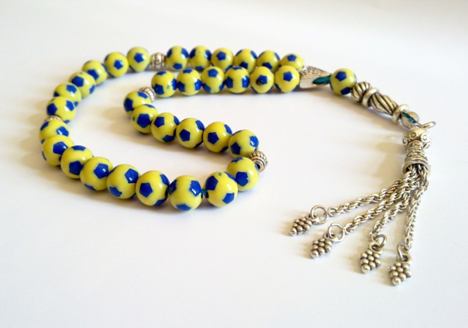 In Turkish, prayer beads are called tespih, a word derived from the Arabic root-word “sebh,” which means to respect Allah or to “accelerate” in worshipping Allah. In Islam, faith on its own is not sufficient. A Muslim is enjoined to perform worship rituals to show his belief in Allah. A good religious subject is required to reinforce, improve, enhance and enrich his or her conduit by practicing, i.e., repeating prayer rituals. A Muslim is enjoined to perform worship rituals to show his belief in Allah. A good religious subject is required to reinforce, improve, enhance and enrich his or her conduit by practicing, i.e. repeating, prayer rituals. There are two worship practices in Islam in which prayers are repeated by numbers: salat (daily ritual prayer) and dhikr (allusion prayer). Each of these practices is organized through specialized objects to accomplish worshiping as it ought to be performed. 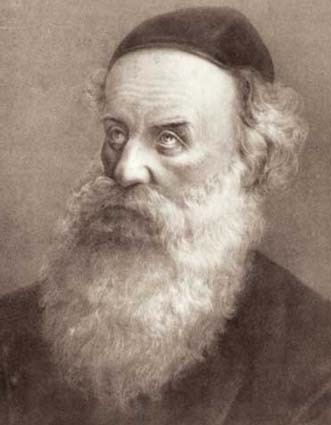 Rabbi Schneur Zalman of Liadi (1745-1812), the so-called Alter Rebbe, or founding teacher of the Chabad movement, was once asked to explain to his students how he prays. He is said to have responded, “I pray with the table and with the chairs.” When I first heard this story many years ago, I assumed he meant merely to say that he prayed with great intensity, so that the tables and chairs shook with his fervor. Anyone who has seen Orthodox Jews engrossed in speaking to their Creator while bowing and shaking in constant motion—shuckling, as it is sometimes known in English— will know what I had in mind. I was more wrong than right though, because I underestimated the central importance of tables and chairs and the whole world of mundane materiality to Hasidic prayer. 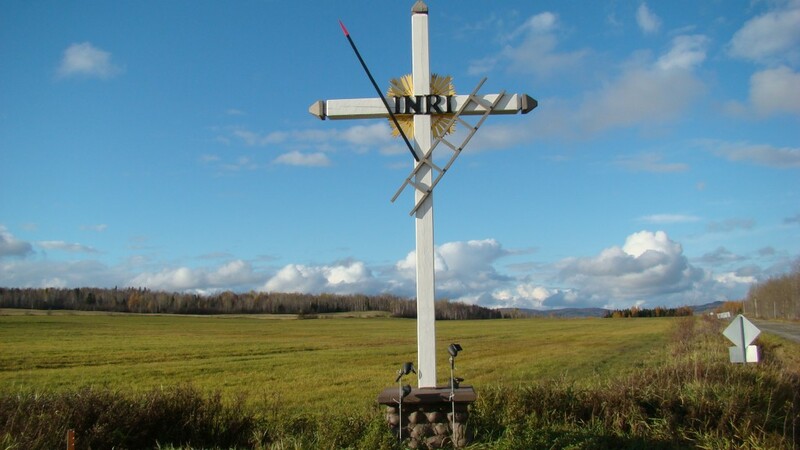 There are about 3,000 croix de chemin (wayside crosses) along the byways of rural Quebec. People like Jean-Marc tend to them each summer: painting, restoring, cleaning, weeding and watering the gardens at their base. Like many caretakers, Jean-Marc refers to the cross he maintains as “his.” It was erected by his grandfather in 1948 and has been on the family land for three generations. It is the materialization of a prayer, the “tangible architecture,” as Anderson Blanton puts it, of a vow. It was in this context that I posed the question to which Jean-Marc responded above: Why did your grandfather put it up? What was the vow? This is an excerpt from a recent recording of The Jackson Memorial Hour, a live gospel radio program broadcast each Sunday from a station in Virginia (thanks to Sister Dorothy and Brother Aldie Allen for providing me with recordings of their broadcast).This station’s transmission reaches into portions of western North Carolina, eastern Tennessee, southern West Virginia and eastern Kentucky. 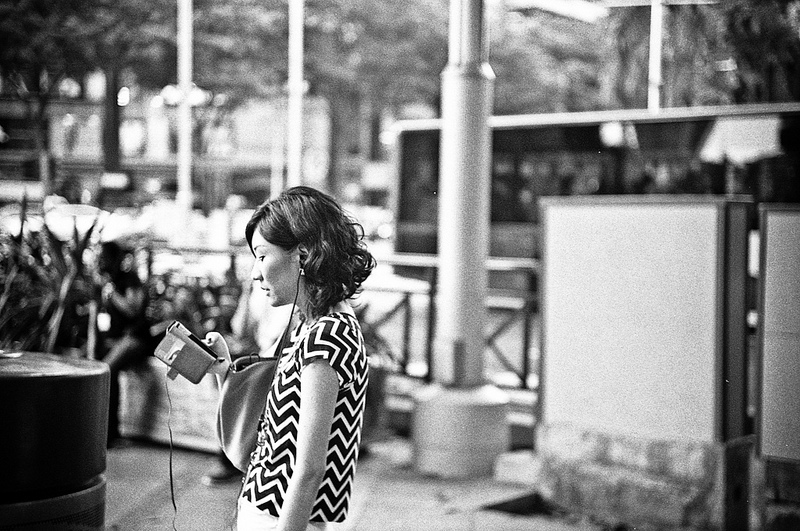 Although it may come to some as a surprise, small AM/FM radio stations such as this broadcast live Pentecostal and charismatic Christian worship services to millions of listeners throughout the United States. The divinely attuned capacities of the body, however, are not the only media for the detection of the unseen presence of the spirit. Artificial devices and material objects have also played a crucial role in the discernment of sacred presence, and reveal striking homologies with the specifically somatic gift previously described. Take for example the sensitive capacities of the camera’s mechanical eye, simultaneously revealing sacred structures and organizing particular experiences of “belief” for the viewer. Emphasizing their capacity to hear and respond to prayer, representations of the gods in the ancient world often depicted deities with disproportionately large ears. The popular Pentecostal paraphrase from the book of Isaiah (59:1) gives a more contemporary resonance to this ancient motif, “His ears are not too heavy to hear the cries of his people.” Among many Pentecostal communities in the United States and elsewhere, performances of communal prayer that produce an excess of sonic intensity are believed to be more effective in opening communicative relays between the sacred and the everyday. 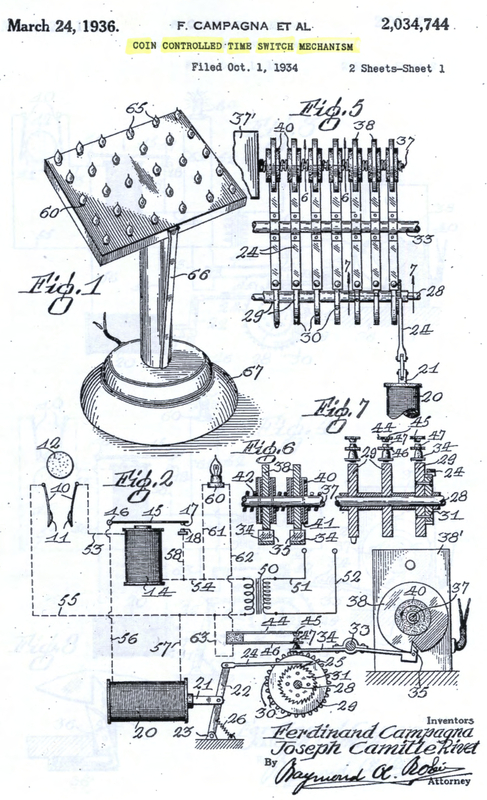 This production of “numinous noise” emerges not only from techniques of the body such as breath, posture, rhythmic schemas, and other modulations of the voice, but a body-in-prayer that is amplified and extended by technologies of sound reproduction such as the microphone and the loudspeaker. In terms of mass crowd phenomena and the spatial organization of bodies during the performance of prayer, the prayer line was one of the most significant twentieth century manifestations of communal prayer. 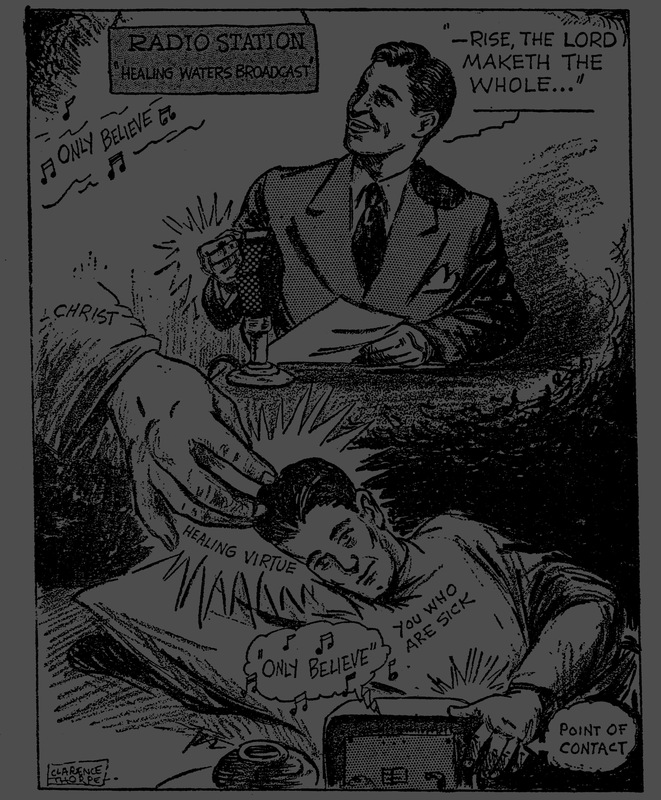 During the charismatic tent revivals of the 1940’s and 50’s, the prayer lines became so massive that certain techniques were adopted to organize the multitudes in need of healing prayer. Structuring the throngs within the space of the giant canvas tent, “prayer card” systems helped organize the potentially excessive revival crowds into single-file lines that followed the inner perimeter of the revival tent and ended in a serialized passage across the elevated platform of the healer. Underneath the massive cloth architecture of Oral Roberts’ canvas cathedral, the “world’s first healing film” was screened for a crusade audience of over 10,000 on September 29th, 1952. Venture Into Faith is a compilation of actual archival footage shot earlier that year during a healing crusade in Birmingham, Alabama, woven seamlessly into highly produced scenes recorded in a Hollywood studio. Numerous tactile and sensorial elements are vital to evangelical walking prayer. The hands of pray-ers interlock with one another—trading oils and sweat—as they pray over selected street corners; perhaps the site of a car accident, some violent crime, a future business, an old apartment, or a perfect vantage point for viewing the city. Pray-ers lay hands on stone and brick buildings, to bless a food market or seek healing for a dying retail store. 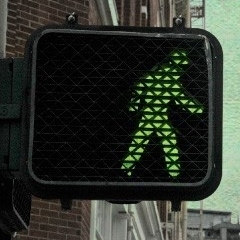 When churches like The Village do walking prayer, they are cast into the sensory overload that is city life. Hustle, bustle, frenzy, squealing brakes, honking horns, and passersby clash with our most readily available images and associations for prayer, in which piety and transcendence are achieved via silence. If the prayer shawls documented by Anderson Blanton are worn to “prevent distraction,” urban evangelical walking prayer seeks and confronts distraction. 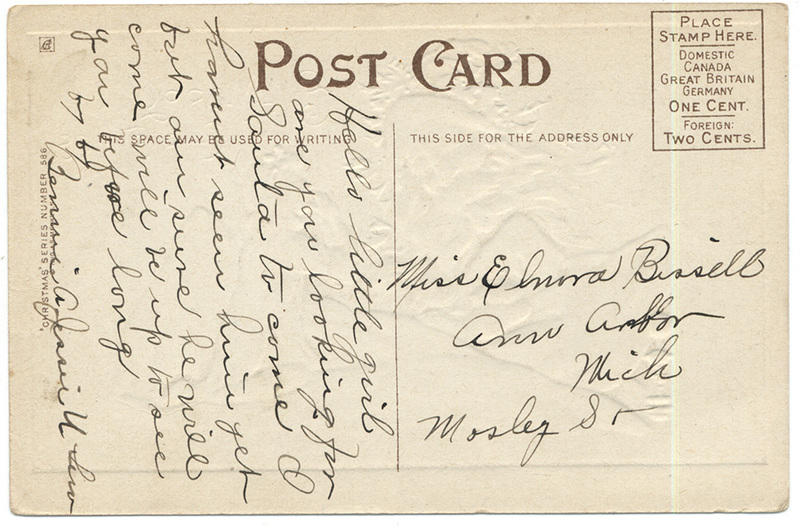 Pentecostals often invoke the saying “there is no distance in prayer” to describe the collapsing of physical distance through the performance of prayer. 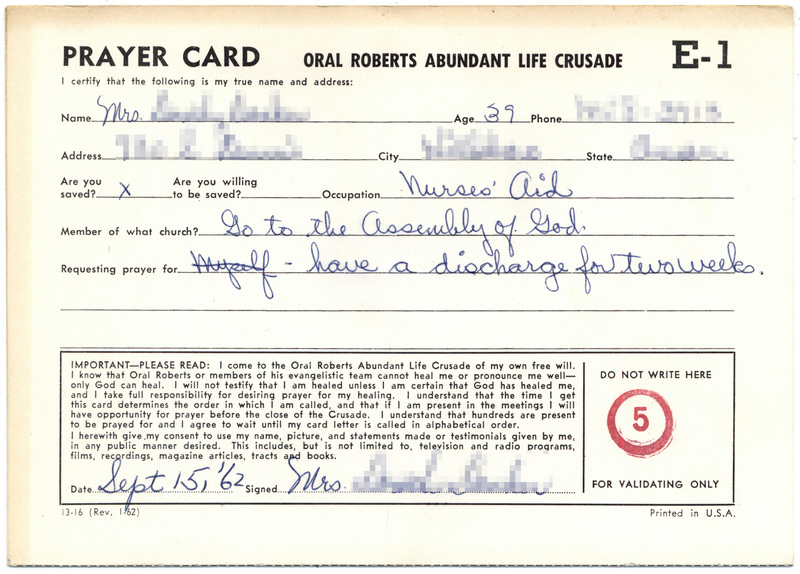 Oral Roberts popularized this phrase on a mass scale during the 1950’s to explain the way that patients could be cured through his performances of healing prayer despite the fact that his actual physical presence remained unavailable to the dispersed magazine, radio, and television audience. On the one hand, this key descriptive phrase is based on the idea that “God is everywhere; therefore, there is no distance in prayer.” This overt theological claim, however, elides the specific circumstances of technological mediation from which this descriptive phrase emerged. Early in the recording, the crunching sound of pea-gravel can be heard as cars pull out of the church parking lot after the Sunday service. Because this popular Pentecostal song foregrounds the question of spiritual presence in relation to the perceptual capacities of the religious subject, it announces crucial themes for the Materiality of Prayer collection. 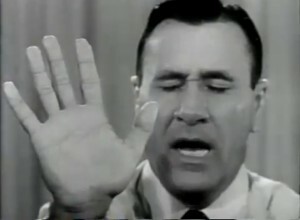 A pivotal moment in the technological history of prayer occurred when Oral Roberts introduced the motion picture camera into the charismatic atmosphere of his massive “tent cathedral.” Through the medium of television, millions of Americans experienced performances of Pentecostal healing prayer for the first time. More than this, however, the motion picture film significantly altered the enthusiastic environment of the healing tent while organizing new sensorial and performative possibilities within the practice of prayer itself. Simple wood-block print holy cards existed as early as the mid-fifteenth century, but it was the introduction of lithography at the end of the eighteenth century along with advances in modern printing that made possible the mass reproduction of holy cards and their wide distribution throughout the Catholic world in the modern era. Holy cards were everywhere in Catholic culture; they were one of the essential media of Catholic piety and social life. From the nineteenth to the mid-twentieth centuries, the cards shared a common devotional aesthetic. Jesus, the Blessed Mother, and the saints were depicted in warm colors, rich blues, reds, and browns that heightened the drama and emotional intensity of the imagery. 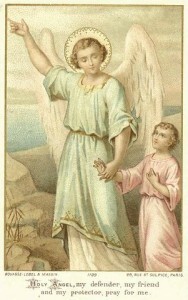 The holy figures looked out from the cards at human affairs with plangent sympathy and concern. 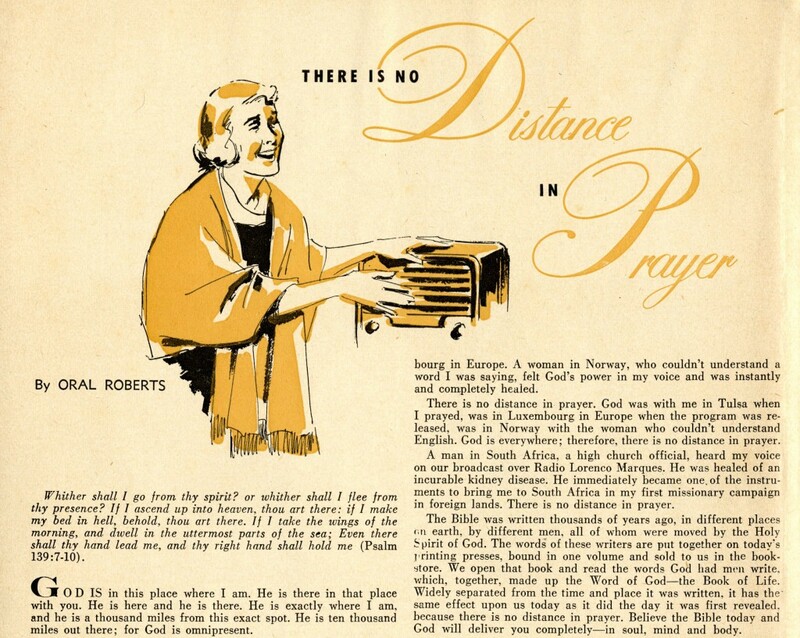 The new definition of prayer laid forth in this portal could be used to articulate key techniques of Pentecostal and charismatic Christian healing prayer such as the “point of contact.” Now a ubiquitous term in the performance of Pentecostal prayer, Oral Roberts developed this technique specifically in relation to the radio apparatus. During performances of charismatic Christian communal prayer, the din of tangled voices is often punctuated by the percussive sound of disjointed clapping. This explosive manual gesture is neither rhythmic nor gentle, but a frenzied technique of clapping that unleashes Holy Ghost power into the worship milieu. Prayer cloths are the most significant devotional objects among small Holiness and Pentecostal church congregations throughout the United States. 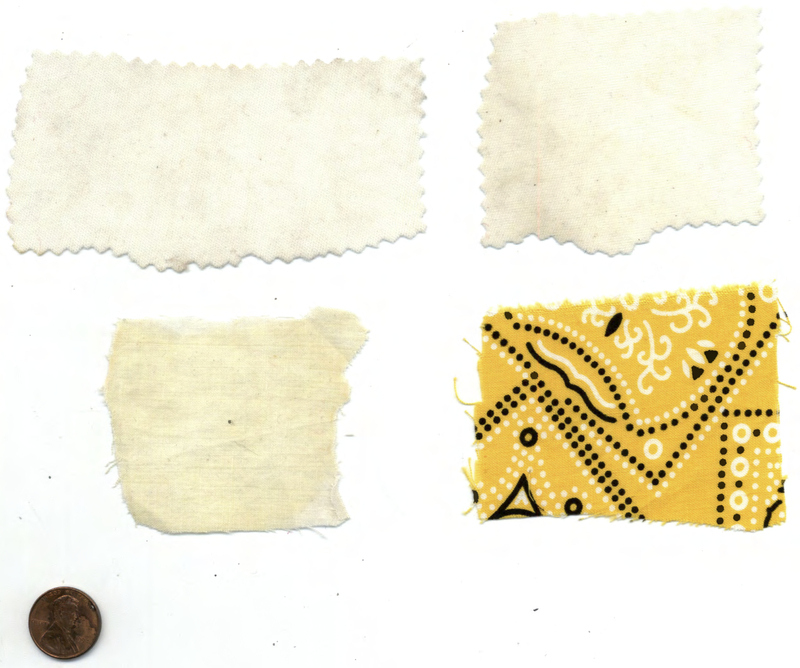 Techniques of manual imposition and communal prayer transform these textile fragments from mere remnants or pieces of detritus into sacred conduits for the healing and apotropaic power of the Holy Ghost. Over the last few years, “prayer shawl ministries” have rapidly gained momentum among mainstream Christian denominations throughout the United States. The prayer shawl is a long rug-shaped textile that can be draped across the shoulders or knees to facilitate in the wearer an actual physical sensation of prayer and communal support. 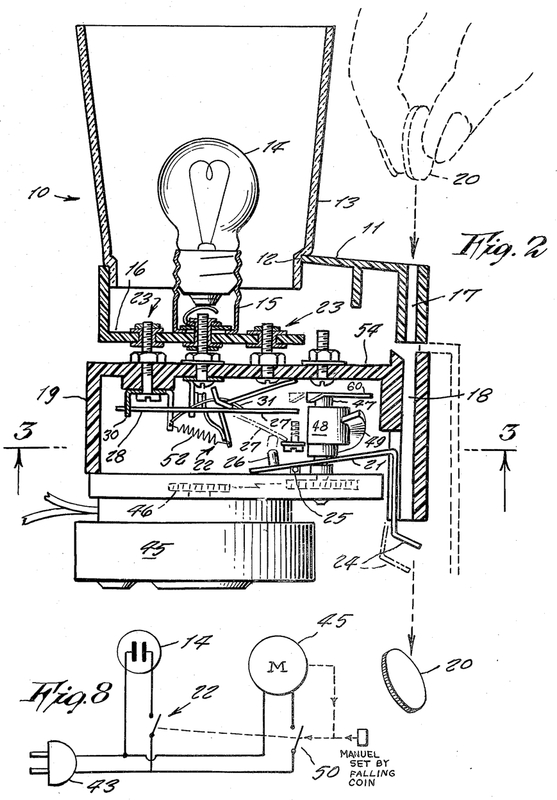 The introduction of the electric votive machine into Catholic churches during the early twentieth century organized a new devotional environment within the space of the side altar. The steady glow of the electric bulb chased away the chiaroscuro play of shadow upon the forms of the saints. Citing literary references from the fourteenth century, a folklorist lecturing on the history of the Rosary provocatively stated, “the word ‘bead’ (Anglo-Saxon beade or bede) meant originally ‘a prayer.’” Despite such early etymological gestures toward an inextricable relation between prayer and the material object, however, formative debates within anthropology and religious studies can be seen as precisely an attempt to isolate the practice of prayer from its material conduits.